The UK's "slow progress" in tackling piracy been has called "disappointing" in a music industry report. The International Federation of the Phonographic Industry (IFPI) says delays to the Digital Economy Act mean levels of piracy are still high. It says the UK lags behind France, where anti-piracy laws have apparently led to a 26% drop in illegal downloads. However, 28% of all internet users still access unlicensed sites that contain copyrighted music every month. The Digital Economy Act 2010 was rushed through parliament at the end of the Labour administration. It has since been subject to a number of changes, but its main provision remains a letter-writing campaign targeting people identified as illegal downloaders. The letters would offer advice on how to prevent such illegal activity, but would not make demands for money or threaten disconnection. The act has been challenged in the courts by Internet Service Providers including TalkTalk and BT, who argue it unfairly compels them to police their users' behaviour. Their case went to appeal last week. The judge has reserved his decision, but a ruling is expected in the next month. Additionally, Ofcom's guidelines on how the DEA would work in practice has yet to be published and approved. The international president of Sony Music, Edgar Berger, told the BBC the delays were "definitely disappointing", noting that "the first notices are now planned to be sent out by 2013". Frances Moore, chief executive of the IFPI, added: "The ISPs, instead of getting on and helping us to implement the law, have challenged us in every court. "With their help we could be turning the piracy problem around now, instead of waiting until 2013." The government told the BBC it would "continue to work with the industry" on tackling online piracy. "Unlawful downloading demands a strong response," said a spokesperson from the Department of Culture, Media and Sport. "If you create a song, a film, a book, you have the right to charge people for that content. We will help people enforce that right. "The Government continues to implement measures in the Digital Economy Act aimed at tackling filesharing. All elements of the internet industry - payment companies, advertisers, search engines, ISPs and not least rights holders themselves - need to play their part in tackling unlawful activity online." The DCMS added that, although the government had chosen - on the advice of Ofcom - not to implement sections of the DEA that would require ISPs to block websites linking to copyrighted material, a recent court case showed that rights holders could obtain similar results using the exisiting Copyright act. Anti-piracy legislation in the US could also be heading for limbo, after Congress halted debate on two contested bills last week. The decision to delay votes on the Protect IP Act (Pipa) and Stop Online Piracy Act (Sopa) followed protests by online encyclopaedia Wikipedia and thousands of other websites which went "dark" for 24 hours last week. The IFPI said it hoped a "compromise" would be put forward "within the next few weeks". However, Ms Moore said she thought the debate over the act "could only be good news" for the industry. "The issue of internet piracy is now centre stage in the US Congress and being reported all over the world," she said. "The question people are asking now is how to fight it, rather than should we be fighting it at all." With countries including Spain, Italy and New Zealand implementing similar laws, the industry has a sense of cautious optimism. In France, research suggests that sales on iTunes rose by as much as 23% after the government established an anti-piracy unit to monitor peer-to-peer networks. 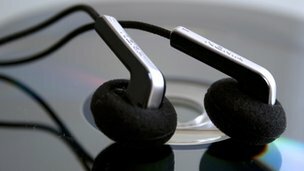 Globally, digital music was worth $5.2bn in 2011, the IFPI said. This represented an 8% rise in revenue, the first year-on-year growth since measurement began in 2004. Ms Moore said there was now a "momentum" for consumers moving towards legal services, helped by the expanding presence of iTunes, Spotify and Vevo. "The music business is going to be in great shape," added Mr Berger. "We don't have any problem with our product - consumption is as high as it has ever been. We have a problem with billing and payment." If piracy continued to be addressed, he said, the music industry was "well-positioned to become a sustainable and profitable growth business in the very near future." The music industry would also like to see greater co-operation from search engines, advertisers and credit card companies in blacklisting pirate websites, the IFPI said. Probaly at least two of the other 3 don't get pirated stuff because don't know how to do it. You can't imagine how many people I know who don't even know what is a forum like LSC, have no idea about posting, filesharing and simply, being part of a forum. Mostly they are scared about the malware they might get while visitng "strange sites". The most funny point is that they spend hours on Facebook, giving our information about themselves and other family members, labeling and sharing family photos and don't realize, that they are violating elemental privacy standards.